The Women Nation Fund is a global, early-stage fund investing in female-founded live music businesses. Its purpose is to provide access to capital for underrepresented female entrepreneurs in the Concert Promotions, Events and Festival space. As Live Nation continues to strive for gender equity and diversity across our Concert business, we have found that there simply aren't enough female-founded festivals or female promoters to draw on. 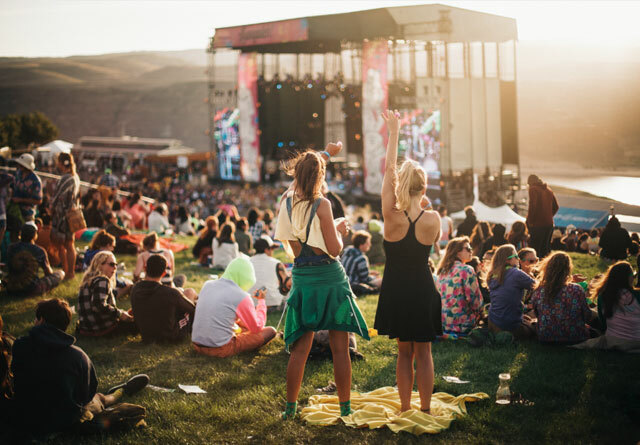 The Women Nation Fund will help address this issue by identifying, funding and growing the available pool of female-led festivals, events and promotion companies. Businesses will be evaluated by a team of International Live Nation female executives with domain expertise across promotion, booking, technology, ticketing and PR/marketing. The fund will accept proposals for businesses in any country or region around the world. Businesses must be female-founded and provide a product or service in the live event space, as specified above. The first step is to apply via our form on this website and provide information on your business. Upon applying, you will receive further instructions. If your business is selected for funding, you will be given access to Live Nation resources such as industry and company contacts and mentorship across our lines of business and functional areas. Kelly Chappel cut her teeth in the music industry managing fledgling bands, releasing their singles on her own record label and working as an A&R scout for PIAS Records. Kelly soon realised her passion was actually in the live sector after putting on club nights in West London and finding gigs for her bands. She landed a job as a promoter for Live Nation in 2005. Here, she promoted acts such as Bon Iver, A$AP Rocky, Calvin Harris and Warpaint; and after successfully growing her UK roster, she was promoted to Senior Promoter in 2008. Four years later, a position opened in the International Touring arm of Live Nation. With a lot of experience promoting gigs under her belt, Kelly decided she was eager to learn about the European side of the business. 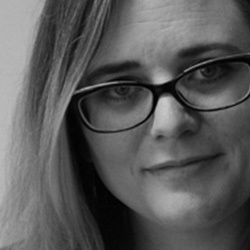 Kelly has since moved through the ranks to her current position as VP of European Touring. In this current role Kelly has been proud to work on tours such as Ariana Grande, The Weeknd, Chris Brown, Maroon 5, and many others. She recently played a key role in setting up the Manchester 'One Love' concert for Ariana Grande this year, which she was very proud to be a part of. Kelly is still true to her roots though, and one of her roles (and loves) is to help grow and cultivate new artists: she recently secured tour and development deals with Dua Lipa and Rag N Bone Man. Recognition from her peers has followed and in 2014 Kelly was one of the first women to be inaugurated into the Women In Music Roll of Honour for Music Week. 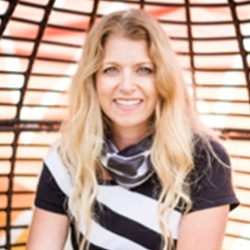 Amy Corbin is Promoter and Director of Concerts for Austin, TX-based C3 Presents, the world's leading music festival producer. Amy Corbin is Promoter and Director of Concerts for Austin, TX-based C3 Presents, the world's leading music festival producer. Upon graduating from Texas State University in December 1999, Amy joined business partner Charles Attal to form talent-booking company Charles Attal Presents, which would later become C3 Presents in 2007. The two started booking and promoting live concerts in venues around Texas until the launch of Austin City Limits Music Festival in 2002. The festival has since been responsible for generating over $1.5B in revenue for the city of Austin. The success of ACLMF paved the way for C3 to become the industry leader in the music festival space, now boasting over 14 music festivals worldwide including the iconic Lollapalooza in Chicago's Grant Park. Corbin currently oversees a team of 21 people and the booking of over 1000 concerts annually in clubs, arenas and other mass gatherings. Her festival portfolio includes: Austin City Limits, Bonnaroo Music & Arts, Music Midtown and Voodoo Arts & Music Experience. In 2003, Corbin helped design and launch Front Gate Tickets. Front Gate Tickets was founded with the idea of being an alternative approach to ticketing and has emerged as the market leader in end to end festival ticketing solutions with over 20 million tickets sold. In 2007, Corbin received the Pollstar award for Nightclub Talent Buyer of the Year. She has a passion for visual arts and spends much of her free time networking with artists from around the country, seeking ways to enhance the live event experience. 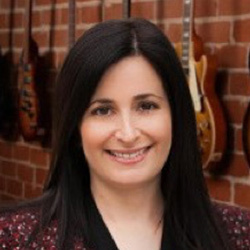 Carrie Davis is the Chief Communications Officer of Live Nation Entertainment, the largest live entertainment company in the world. Carrie Davis is the Chief Communications Officer of Live Nation Entertainment, the largest live entertainment company in the world. 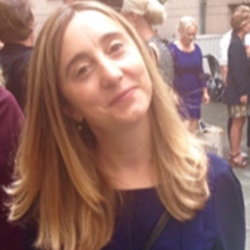 Carrie assumed her current role in 2015, and she leads all internal and external communications globally. She reports to Live Nation Founder and CEO Michael Rapino. As CCO, she advises the C-suite on all corporate communications topics, including financial, M&A, legal, investor, governmental affairs and crisis communications. She also provides strategic leadership to all divisions of the company: Ticketmaster, Sponsorship, Artist Nation, Concerts and Touring, and House of Blues. The publicity portfolio that she oversees reaches 70 million fans per year, and it includes 26,000 live events, more than 500 artists under management and 85 music festivals. Previously, she served as Vice President of Communications for Disney Interactive, the digital entertainment division of the Walt Disney Company. She reported to the President of the division and to Disney's Chief Communications Officer, and she managed a team of 20 public relations and events staffers. This included leading communications through Disney Interactive's turnaround and first year of profitability, managing the response to legal issues, including criminal investigations and developing a strategy around workforce reductions and executive departures. From 2010 to 2011, she held the role of Vice President of Communications at Match.com. She developed national campaigns to shift the perception of online dating as a whole and highlight Match.com's specific brand differentiators. From 2006 to 2010, she was the Director of Communications for Yahoo. She led the division's communications for functions such as M&A and quarterly earnings, and she managed PR efforts for media services launches and content/advertising partnerships. 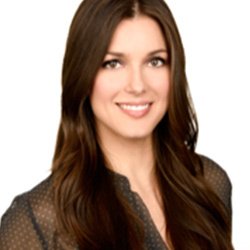 In 2005 she was named Account Supervisor for Marketing Communications and Corporate at Hill+Knowlton, where she was responsible for strategic planning and management of day-to-day activities for clients like Ford's Race for the Cure, Sony Pictures and Adidas. 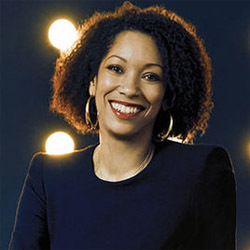 She began her career as the founder of Plugged In Public Relations, a boutique public relations firm from 1999 to 2004. She spearheaded media campaigns for entertainment and corporate clients, including Simmons Lathan Media Group, Universal Records, Epic Records and more. She also acted as publicist for Grammy-nominated artists Aaliyah, Timbaland, De La Soul, Wu-Tang Clan and Everlast. Carrie serves on the Board of Directors of Project Maverick, an experiential platform for girls, parents and allies created to inspire the next generation of independent thinkers and doers. Virginia Davis oversees the careers of CMA and ACM winning, GRAMMY-nominated artist Thomas Rhett, ACM New Female Vocalist nominee Danielle Bradbery and singer/songwriter Patrick Droney. Virginia Davis oversees the careers of CMA and ACM winning, GRAMMY-nominated artist Thomas Rhett, ACM New Female Vocalist nominee Danielle Bradbery and singer/songwriter Patrick Droney. Davis is the managing partner at G MAJOR, which she launched in 2013 and co-ventured with RocNation. Additionally, Davis oversees signings and operation of Home Team Publishing, a joint venture with Thomas Rhett, his father Rhett Akins and RocNation. In her 10 years as an artist manager, Davis has overseen the campaigns of seven multi-format albums and tour launches with four-time GRAMMY nominee Jewel, along with multiple television properties, a children's music and book line in partnership with Fisher Price and Simon and Schuster. Davis started her music business career at NSAI, and served as NSAI's Marketing, Sponsorship and Tin Pan South director until 2005 when she was tapped to run RAYBAW Records, a joint venture between Big and Rich and Warner Bros. Nashville. In 2008, Davis transitioned into management joining Irving Azoff's company Front Line Management. Davis is a native West-Virginian, graduate of University of South Carolina and member of ACM, CMA, SOURCE organizations and also serves on the CMA Board of Directors. Maura Gibson is President of Front Gate Tickets, the Ticketmaster owned, Austin, TX-based leader in festival ticketing. Maura Gibson is President of Front Gate Tickets, the Ticketmaster owned, Austin, TX-based leader in festival ticketing. Supporting the major market-share the world's top music festivals including EDC, Lollapalooza, Austin City Limits Music Festival, BottleRock, Boston Calling and countless others, Front Gate is the only turnkey ticketing solution for ecommerce, digital marketing, onsite support, customer service, fulfillment, RFID access control, experiential marketing RFID activations, cashless technology and performance analytics. Gibson began her career promoting bands in Lincoln, Nebraska. She spent the 90's working for a variety of promoters and ticketing companies in the Midwest, landing at Live Nation in 1997 (then, Contemporary Group/SFX). In 2005, as VP of NA Ticketing she oversaw all LNE ticketing properties including venue box offices, national sponsorship ticketing, national touring ticketing, and corporate marketing initiatives. Gibson was a key player in LNE's transition to its in-house solution, Live Nation Tickets. In 2009, Gibson was handpicked by “the Charlies” to lead ticketing efforts at C3 Presents and in 2012; Gibson was named President of Front Gate Tickets. Front Gate Tickets was acquired by Ticketmaster in 2015, following Live Nations acquisition of C3 Presents in 2014. Lesley started her music career in 2007 in San Diego working with Viejas Entertainment. In 2008, she moved to LA and began working for Goldenvoice, where she booked Club Nokia, Fox Theater in Pomona, and the Shrine Auditorium and Expo Hall. Lesley started her music career in 2007 in San Diego working with Viejas Entertainment. In 2008, she moved to LA and began working for Goldenvoice, where she booked Club Nokia, Fox Theater in Pomona, and the Shrine Auditorium and Expo Hall. She also produced premier festivals including Camp Flog Gnaw with Tyler, the Creator for 5 years, Festival Supreme featuring Jack Black and Kyle Gass of Tenacious D for 3 years, and Fool's Gold Day Off with A-Trak and Catchdubs. Lesley has promoted standout shows including 2 sold out nights of Radiohead at the Shrine Auditorium, 4 sold out nights of Flume at the Shrine Expo Hall, and 8 sold out nights of Adele at STAPLES Center. In the fall of 2017, Lesley joined Live Nation as VP of Touring, where she oversees tours with renowned acts such as Childish Gambino, Janelle Monáe, Brockhampton, Erasure, and ODESZA. 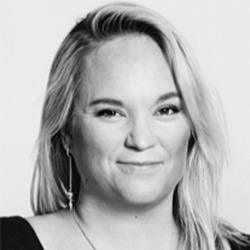 Anna Sjolund is the co-managing director of Live Nation Sweden where she since 2013 has been running the company's international department who yearly promotes or books more than 300 concerts with international artists in Sweden and the Nordic region. With live music as her biggest passion since her early teens Anna joined EMA Telstar (now Live Nation Sweden) as a production assistant in 2000 and ten years later her career within Live Nation took her to Prague where she until 2013 served as VP Operations Central and Eastern Europe. 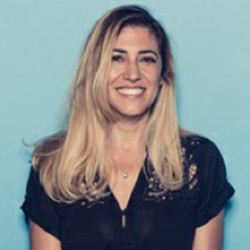 After relocating back to Sweden to take on the Head Promoter role she currently holds Anna also became Managing Director of Live Nation Sweden in November 2017 overseeing all the company's touring, agency and festivals. 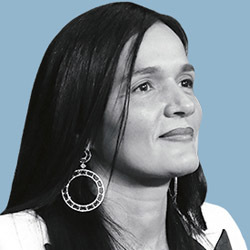 Since 2009, Desiree Perez has helmed Roc Nation as Chief Operating Officer. During this time, Roc Nation has grown beyond a record label, music publishing and artist & sports management agency to encompass scripted and unscripted television division, Armand de Brignac and D’usse. In addition to her involvement in all aspects of JAY-Z’s music and business career, Perez has been involved in every significant deal the company has made in the past decade, overseeing Roc Nation’s day-to-day operations. These groundbreaking deals include a worldwide partnership with Universal Music Group in 2013 and multi-million dollar renewal in 2018, Kevin Durant’s 2014 groundbreaking endorsement deal with Nike—a 10-year, $300 million dollar contract and Robinson Cano’s 10-year, $240 million player contract with the Seattle Mariners. In 2015, Perez negotiated the deal to purchase the streaming service TIDAL for $56 million before turning around two years later and landing a deal to sell a 33% stake in the company to Sprint for $200 million. This past year, Perez worked with Meek Mill’s legal team to petition the courts to secure the rapper’s release from prison and continues to work tirelessly to bring attention to the subject of prison reform. ©2018 LIVE NATION ENTERTAINMENT, INC. ALL RIGHTS RESERVED.